This is a podcast series being produced and reported for the Durham VOICE. With this project, we’re reconnecting with people who were once involved with the VOICE and its community, allowing them to share their journeys and experiences since working with the newspaper. This week, DVV welcomes Zenzele Barnes. Zenzele was the VOICE’s first ever teen editor-in-chief while she was a senior at Jordan High School in 2010 and 2011. Born and raised in Durham, Zenzele moved to Charlotte to attend Queens University and study new media design. Since graduating in 2015, she has since returned to Durham and works as the community manager at local social impact hub ReCity. Brighton McConnell, a UNC-CH senior majoring in broadcast journalism, is from Brevard. This semester he is serving as the broadcast/podcast editor of the Durham VOICE. 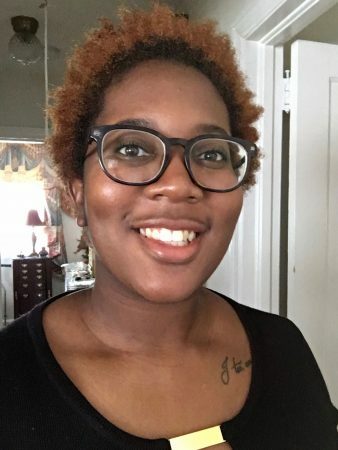 This entry was posted in 2019, Multimedia and tagged Durham VOICE Voices, DVV, podcast, Zenzele Barnes. Bookmark the permalink.